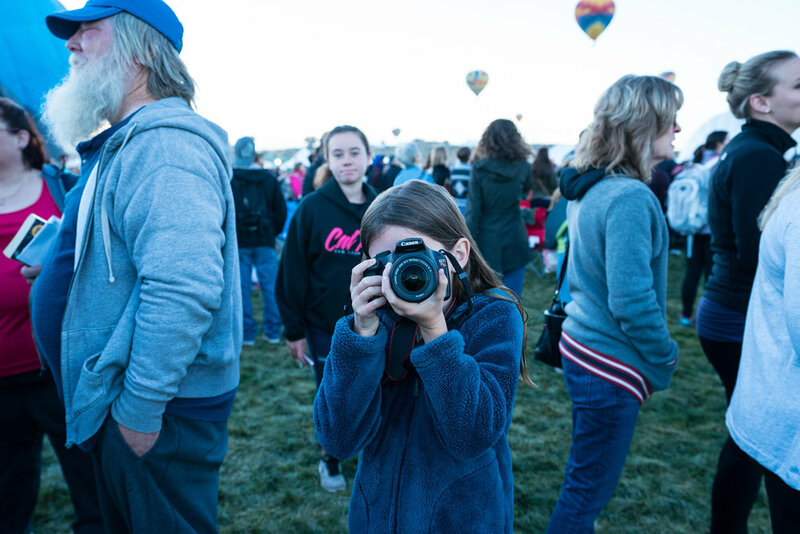 The Balloon Fiesta Park is the Size of 54 Football Fields. 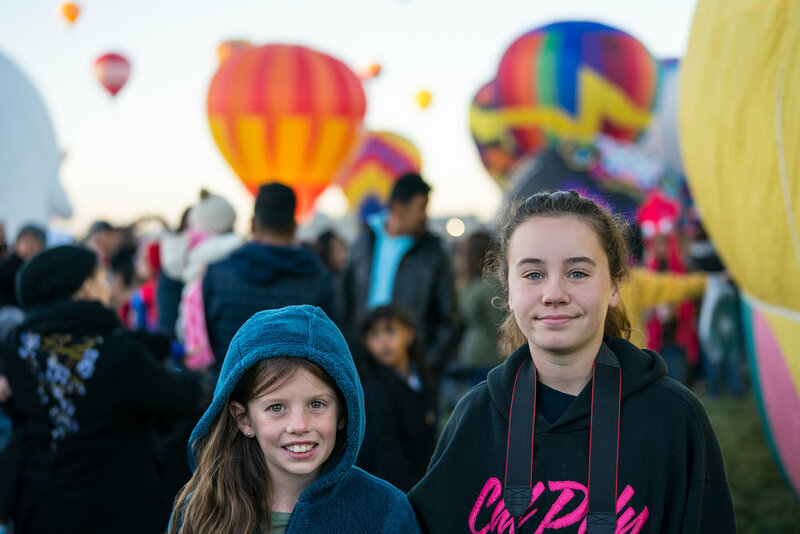 We just returned from Albuquerque, New Mexico where my family and I attended the International Balloon Fiesta. I brought the new Sony A9 along with 2 lenses. The new Sony 16-35mm f/2.8 GM and the Sony 70-200mm f/2.8 GM OSS. I've been using and testing this system in addition to my A7R II since the beginning of summer. Friday evening we headed down to the fields for "The Glow." They basically setup (inflate) a bunch of the balloons on the field around sunset, the flames illuminate the balloons...and makes for some nice photos. They clear an area on the field quickly to layout the balloon. Then the basket is set on its side. They setup fans to blow air into it, then comes the flame thrower to blow hot air. This doesn't look too comfortable. As you walk around the field you see quite a few people on each balloon trying to weigh them down. There appears to be a fine line between deflation and ascention. For Photo Enthusiasts it's a Great Event to Walk Around and Document. Getting there at sunrise or sunset gives you some awesome lighting opportunities. The 70-200mm GM OSS was great to have along. The Sony 100-400mm may have been even better. It's a slower lens, but has more reach. We Woke up at 4:30am the Next Day to Check out the Mass Ascension. The weather needs to be just right for takeoff. Especially if you are launching 100's of balloons from one location. We had a good weather day. If you ever decide to check this out...you need to plan to be here a couple of days. 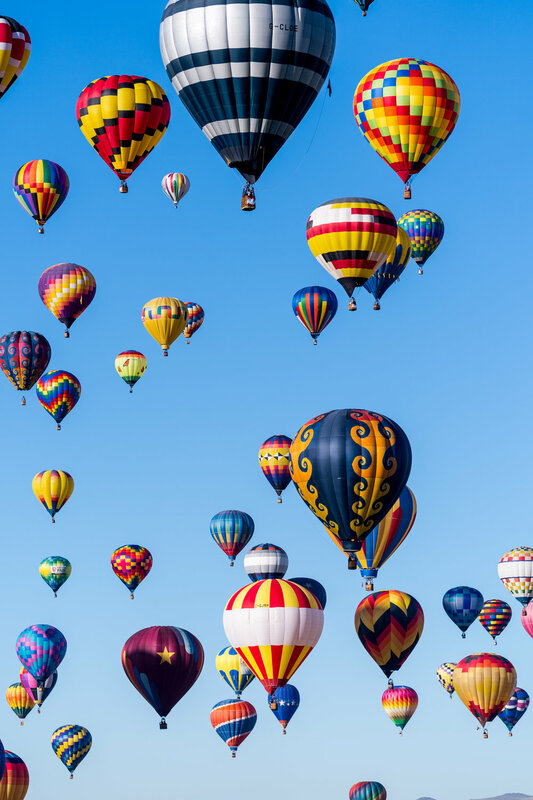 If the weather isn't cooperating you might not see any balloons take flight. Here's my Youngest...with Perfect Camera Holding Technique! They've been shooting ever since they could hold a camera. So far they haven't dropped anything...I can't say the same for me. In person the balloons tend to look almost still. It's a weird feeling...you look up and they are just hanging there. From a distance they look like a bunch of party balloons that floated away.